MICROSOFT has unveiled its new Surface Pro 3 - a lightweight tablet that it says packs the power and performance you expect from a laptop. 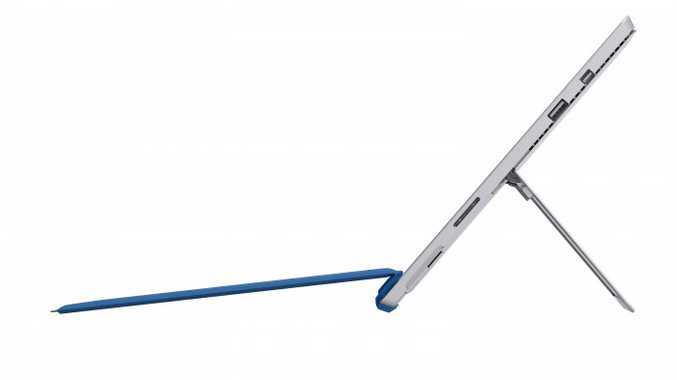 Surface Pro 3 features a 12 inch display and is 30% thinner than a 11 inch MacBook Air. Microsoft says its multiple processor, RAM and storage options intersect with a sleek design that, with a simple snap or click, transform the device from a perfectly balanced tablet to a full-functioning laptop and back again. "So many people carry both a laptop and a tablet but really want just one device that serves all purposes," said Panos Panay, corporate vice president, Microsoft Surface. "Surface Pro 3 is the tablet that can replace your laptop - packing all the performance of a fully powered laptop into a thin, light and beautifully designed device. "You'll love being able to carry a single device for your next class, workday or weekend getaway knowing you have all the power you need." Starting at an estimated retail price of just AUD $979, Surface Pro 3 will be offered in multiple configurations featuring 4th-generation Intel® Core™ i3, i5 and i7 processors. By the end of August, Surface Pro 3 and select new accessories will become available for purchase in 26 additional markets, including Australia, Austria, Belgium, China, Denmark, Finland, France, Germany, Hong Kong, Ireland, Italy, Japan, Korea, Luxembourg, Malaysia, the Netherlands, New Zealand, Norway, Portugal, Singapore, Spain, Sweden, Switzerland, Taiwan, Thailand and the United Kingdom. Surface Pro 3 features a 12-inch full HD display, 4th-generation Intel® Core™ processor options, click-in keyboards, and a multiposition kickstand that goes from movie mode to working mode and all the way to writing mode. Surface Pro 3 comes with Surface Pen included and a new capability where with just a click of the pen, Surface launches a fresh page in OneNote, so you can capture your thoughts immediately - as quickly as a pen and piece of paper. The speakers feature Dolby® Audio enhanced sound. There is up to nine hours of Web-browsing battery life. There is a full-size USB 3.0 port, microSD card reader and Mini DisplayPort allow for quick file transfers and easy connections to a range of peripherals. Additional optional accessories, include a new Docking Station for Surface Pro 3 and a Surface Ethernet Adapter. Simple, solid, sound. Denon's new in-ears just work.